Tourmaline belongs to a complex family of aluminum borosilicates mixed with iron, magnesium, or other various metals that, depending on the proportions of its components, may form as red, pink, yellow, brown, black, green, blue or violet. Its prismatic, vertically striated crystals may be long and slender, or thick and columnar, and are uniquely triangular in cross-section. They often vary in coloration within a single specimen, lengthwise or in cross sections, and may be transparent or opaque. The name “tourmaline” comes from an ancient Sinhalese word turmali, meaning “a mixed color precious stone,” or turamali, meaning “something small from the earth”. Black tourmaline is an excellent grounding crystal for meditation and healing, as the linear flow of energies is enhanced equally in both directions along the crystalline form. 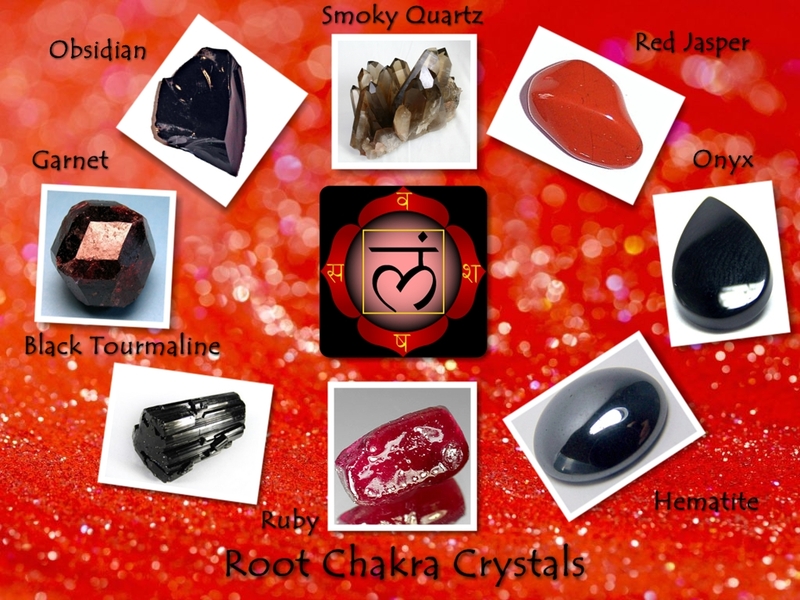 This crystal soothes panic attacks, especially those caused by dark or confined spaces, or in places where the atmosphere is frightening, such as controlling fears of doctors or dentists. This crystal is also said to protect against moaners, whiners, complaining neighbours or emotional vampires who wish to burden you with their problems, yet who do nothing to improve their situations. In the workplace, black tourmaline provides a shield against environmental pollutants, electromagnetic smog, and radiation associated with mobile phones, computers, and other electronic equipment. Most importantly, black tourmaline is a stone of purification, cleansing the emotional body of negative thoughts, anxieties, anger or feelings of unworthiness. It helps in overcoming substance abuse, and releases any suicidal thoughts or self-harming tendencies. It may be beneficial in treating obsessive or compulsive behaviors, and in relinquishing chronic worry. The base, or root, chakra is located at the base of the spine, and controls the energy for kinesthetic feeling and movement. It is the foundation of physical and spiritual energy for the body. When physically out of balance the symptoms will manifest themselves as lethargy, low levels of activity, low enthusiasm, and a need for constant stimulation. When its spiritual energies are out of balance, you will feel flighty, disconnected from reality, and distant. When the base chakra is in balance, the physical body regains its strength and stamina, and the spiritual energy is rekindled in the form of security and sense of one’s own power. It often leads to independence and spontaneous leadership.